The most important run in the marathon training cycle is the long run. Not only does the success of the long run have a massive impact on your mindset [I've blogged on marathon mindset before, you can read my marathon mind games post here] it also gets our body ready for what's ahead. Making small increments in mileage each week helps your body get used to spending more time on your feet. However, the long run also takes a massive toll on the body. For most of us, each week we are running further than we ever have before. That is pretty exciting! There is a risk though that in taking on this new challenge and pushing our bodies in a way we never have that we may get injured. Each year there are thousands of people who do not make it to the start line through injury, or they make it to the start line with a lot of niggles and as a result with a lot of worries. As tempting as it is to spend the rest of the afternoon on the sofa and do nothing the following day. 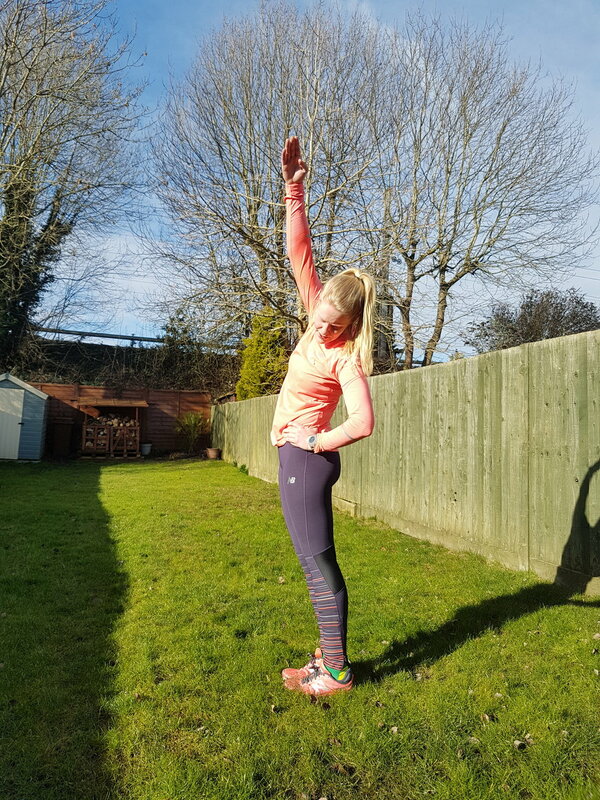 Active recovery, which includes a shake out jog, can be really helpful in preventing the build up of lactic acid and will therefore reduce muscle soreness. Adding yoga or even a stretch sequence into your training programme will help to reduce muscle soreness. The last thing anyone wants to do after running 16+ miles is keep moving but working through a cool-down routine will allow your body to actively keep pumping the toxins produced back to the heart and again prevent pooling. To cool down, taper your movement steadily so move from running to a walk and then maybe to marching on the spot. Then commence full body static stretching. Particularly take the time to stretch all of the muscles in both legs, holding each stretch for 10-15 seconds. Whilst many people recommend ice baths, I've found that very hot baths have great success in releasing muscle tension. Try adding a form of magnesium, such as an Epsom salt which will assist in helping your muscles to relax. Fuelling for a long run should start 48 hours before the run starts. You should also be mindful of what you eat for 24 hours after a run, e.g. avoid alcohol and any foods which are difficult to digest, to allow for the body to focus on recovery. Whatever has happened on your long run, you need to assess it. Take learnings, good and bad and get your head ready for next week's trainings. Let me know in the comments below if you have any other great recovery tips which I can try.